Posted April 19th, 2019 by Melody Taylor-Fliege & filed under Coffeeshop Coaching. 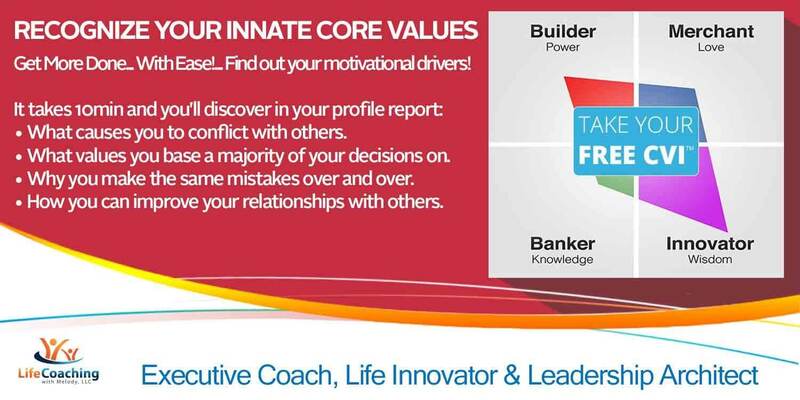 Join me online via-ZOOM for my next Virtual Coffeeshop Group Coaching! It’s free! I will be coaching you live from Beijing China! No need to sign up! To join the online ZOOM Coffeeshop Group Coaching, just click the link below at the appropriate date/time-zone! Beijing for many evokes an image of the Forbidden City, a place in history that was reserved for the few who gained access by birth privilege but also people could gain access through achievement as worriers, administrators, sages and others. Is there a place in your life that you feel you would love to gain access to and yet feel you’re not accomplished enough to gain access. What is that place for you? Can you really not gain access? Or can you? What is your Forbidden City? What is of value that you would keep inside of your Forbidden City? If you were the architect of the city, how would you design it to make access difficult? What’s your motivation for access? What might you need to give up to get inside? If you could gain access, what would it give you? What is precious about not having access? What’s the value in staying where you are? Imagine that you’ve always had access since birth, and that what’s holding you back is merely an illusion; what would you then want? Be prepared to share something you discover from the questions above or add more questions to the group via chat during the ZOOM-Coffeeshop Coaching. Open your mind and together let’s uncover new perspectives and valuable takeaway tools for your life! Virtual Coffeeshop coaching is confidential while using a more relaxed and informal platform that being part of an online coaching group can provide. An added twist of value that Melody brings to the online coffeeshop is the power of perspective. Perspectives are valuable in the coaching process for clarity, opening up and leaning into what’s new in any change process. Melody utilizes the energy of her live location in the world at the time of each Virtual Coffeeshop Coaching to help harvest new perspectives and valuable takeaway tools for individual attendees. We meet online via ZOOM over a cup of coffee, tea, or whatever is appropriate for your time zone. Although this isn’t corporate coaching, don’t be fooled into believing that the depth and amount of change to be achieved is any less. This style of coaching is just as committed as any other form of coaching just experienced in a more gentle and relaxed way of coaching support, encouragement and none-judgmental accountability.These group coachings usually last 30 minutes, and they are FREE! For my worldwide regulars just click on the ZOOM link on my Free Coffeeshop Coaching webpage at the appropriate date/time-zone of the topic you desire from the list! Join me online via-ZOOM for my next Virtual Coffeeshop Group Coaching! It’s free! I will be coaching you live from Sydney Australia! No need to sign up! 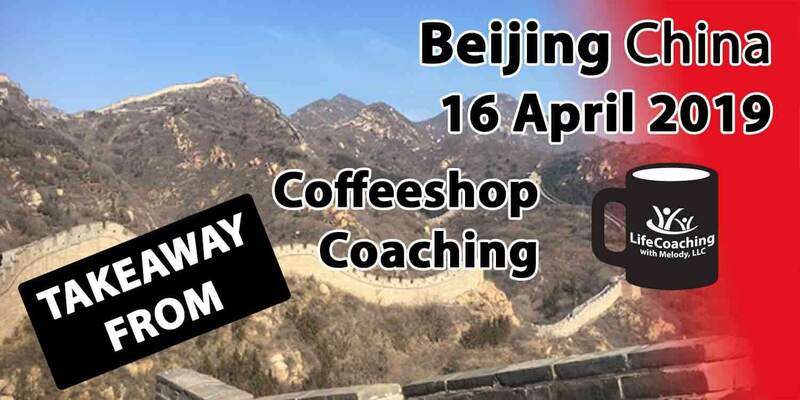 To join the online ZOOM Coffeeshop Group Coaching, just click the link below at the appropriate date/time-zone! No worries mate, Sydney gives plenty of perspectives to apply to what you want most in these virtual coffeeshop coachings. From the perfect weather perspective, a vegemite sandwich perspective, involving singing an opera perspective, the boldly bouncing kangaroo perspective, or looking through a view of what an Aborigine might think about what you want most. Starting out as a prison colony eventually liberating itself gives rise to the question of, “How am I freeing myself from what seems to be holding me back?” Where you are right now is not everything. Incentives to look for new perspectives are all over; open yourself up! Is what you want most better expressed by the bread or the vegemite? What do you think an Aborigine might say about what you want most? What part of what you want would the kangaroo kick away? If all of a sudden singing became your language, what would the tune be of what you want most? G’day, mate! If every day were perfect, what is ideal about this day? Join me online via-ZOOM for my next Virtual Coffeeshop Group Coaching! It’s free! I will be coaching you live from Samoa! No need to sign up! To join the online ZOOM Coffeeshop Group Coaching, just click the link below at the appropriate date/time-zone! 30-min. Virtual-Zoom Coffeeshop Group Coaching live from Samoa on Tuesday, 07 May 17:00 GMT+13hrs (5pm Apia Samoa Time Zone) Topic: If you could lose one day of time, which day would you choose? Topic: If you could lose one day of time, which day would you choose? Samoa has some interesting perspectives that can be utilized in coaching. It is one of few countries that switched from driving on the right to driving on the left. It could be interesting to think about what that would do to your thinking process if you lived there during that time. In time perspective they used to be where the day ends then switched to being where the day starts. They lost a day when they switched forward from being Western Hemisphere to being Eastern Hemisphere. If you could lose a day of time, which day would you choose? Why? Look over your left shoulder and ask, “What do I want most right now?” pause for a moment and notice what comes up. Then look over your right shoulder and ask the same question, stop again and observe what comes up. What is time to me? Join me online via-ZOOM for my next Virtual Coffeeshop Group Coaching! It’s free! I will be coaching you live from Fiji! No need to sign up! 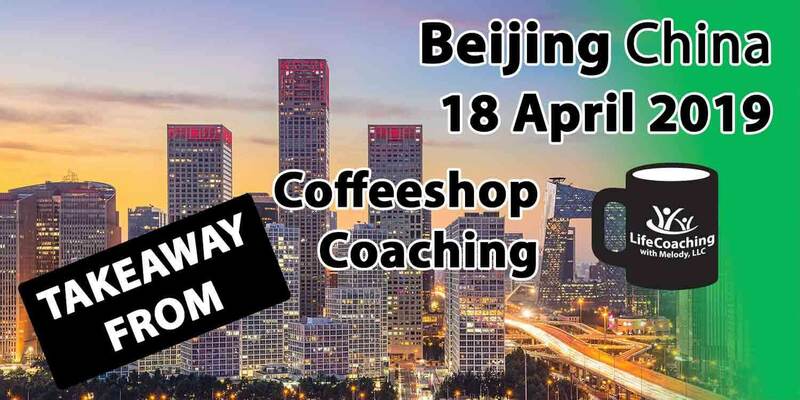 To join the online ZOOM Coffeeshop Group Coaching, just click the link below at the appropriate date/time-zone! 30-min. 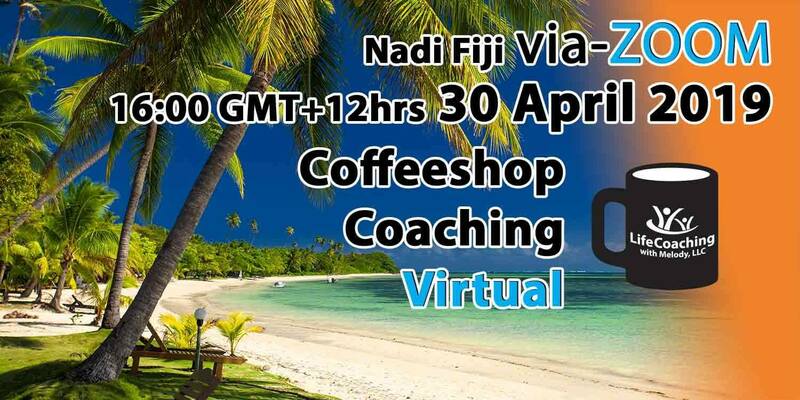 Virtual-Zoom Coffeeshop Group Coaching live from Fiji on Tuesday, 30 April 16:00 GMT+12hrs (4pm Nadi Fiji Time Zone) Topic: With 333 remote islands and a remote control what would you do? Topic: With 333 remote islands and a remote control what would you do? Where you are right now is not everything. Incentives to look for new perspectives are all over; open yourself up! Fiji, one of the happiest countries of the world is flourishing with many beautiful colors, and you’ll find time runs VERY SLOWLY… we have the watches they have the time! However, the Ocean is always coming and leaving on time with its low tide and high tide. Perspectives can change with experiencing fire dancing and experiencing the relaxing effect of drinking the traditional root of the Kava plant. A clear ocean sunrise perspective, palm trees and sandy beach perspective, the smile perspective, the color perspective; can you think of more? If someone asked you if you are happy, what would you say? Painting what you want most in feel-good colors, does anything change? If so, what? If you were stranded on a remote island, what would you do with your time? What are the most valuable resources in this situation and how can you apply them to what you currently want most out of life? What’s important about the fast pace, hustle, and bustle of what you want most out of life? Imagine what you desire most, and at the same time imagine diving deep into a quiet turquoise blue sea! Feel yourself being wrapped in a blanket of water! Listen to the silence! What now becomes most important about what you want, desire, need? Posted April 18th, 2019 by Melody Taylor-Fliege & filed under Coffeeshop Coaching. Join me online via-ZOOM for my next Virtual Coffeeshop Group Coaching! It’s free! I will be coaching you live from New Zealand! No need to sign up! 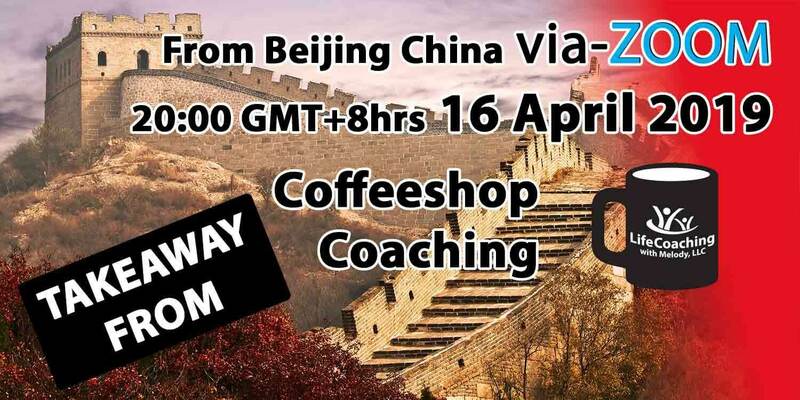 To join the online ZOOM Coffeeshop Group Coaching, just click the link below at the appropriate date/time-zone! 30-min. 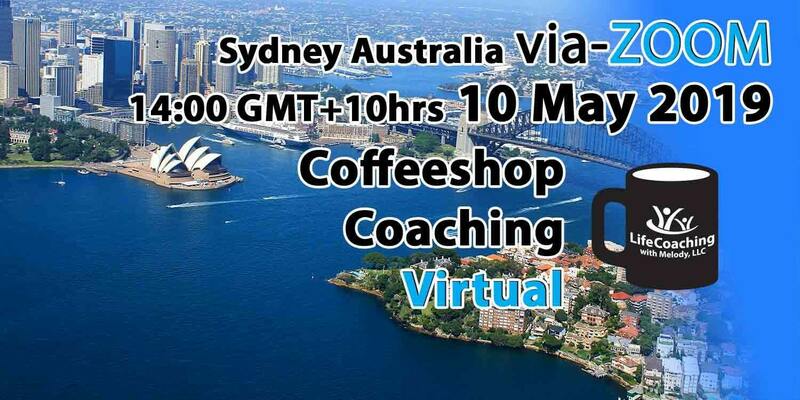 Virtual-Zoom Coffeeshop Group Coaching live from New Zealand on Tuesday, 23 April 16:00 GMT+12hrs (4pm Auckland New Zealand Time Zone) Topic: Sailing to New Zealand for new perspectives! Topic: Sailing to New Zealand for new perspectives! What does Auckland, New Zealand bring to your mind? A beautiful harbor filled with sailboats or great surfing spots, food tastes and smells influenced with indigenous Maori culture, a vast metropolis with a view from its Sky Tower or bungee jumping off its Harbour Bridge, a relaxed hike with breathtaking landscapes or even the Hobbiton Movie Set from “The Lord of the Rings” and “The Hobbit” movies. New Zealand creates a unique polar opposites perspective for coaching, with two polar opposites in one island nation much smaller than China or USA. It’s a nation with two distinct climate zones; mild and subtropical in the North, while the South can feel the proximity of the Antarctic polar region so, Southern New Zealand is a destination for winter sports enthusiasts. Zooming the perspective in a bit more; we all have polar opposites, one day stuck in ego trying to be right and the next day a loving partner or supportive friend. How can you give space (accept the existence of both) in your daily life for your polar opposites? How can you find a balance between your polar opposites? Try focusing on what you want most, and at the same time imagine bungee jumping off Auckland’s Sky Tower or Harbour Bridge! It’s a free jump so you can repeat it as many times as you want. What becomes most important before, during and after the jump? If what you want most in life was a film, which scenes stand out? And why? Love conquers all. Love is the light in the shadow of our emotions. Love dissolves fear. Love finds a way to redirect self-sabotaging thoughts into positive solutions by creatively questioning what we DO WANT! How am I loving myself right now? What is the light in my heart telling me right now? What three things am I most grateful for right now? Posted April 16th, 2019 by Melody Taylor-Fliege & filed under Coffeeshop Coaching. The challenge with the question, “What is structures in my life,” gave me a kick-start to even get involved into the thought process of examining the role of the structures in my life, both the ones I created and the ones that I volunteer to be a member of like my job. The question “How can I restructure one of my routines to help me push past an obstacle in my path of achievement?” seems to click with me! I hadn’t thought of looking at my routines that way before! I challenge everyone to stay curious and ask lots of questions. As the doors open, use the new perspectives to dare something new!